Positive Response is coming soon to the Portal and Mobile App! Over the past few months Mississippi 811, Inc. has been internally testing our new Positive Response (PR) system. On May 1st, 2019 we will begin moving existing PR users over to the new system and setting up accounts for any other members that would like to participate. The response information that users submit to the system will be available for viewing in the MS811 Web Portal and Mobile App. Once we feel that we have enough members setup and using the new system, we will begin emailing response status notifications to the excavator. A deployment date for this service will be announced on a later date. Responding to the MS811 PR system is currently a voluntary program; however, we would like to encourage all member companies to participate. Doing so will help improve communication between members, locators and excavators. This communication should help to increase safety and reduce the number of unnecessary second request notices. Contact Joanna Henderson at (601) 362-3887 or Gidgit Reed at (601) 362-7581, if you have questions or concerns about PR. If you are a member utility company and would like to participate in the PR program, click on the Sign-Up button above. Positive Response is a feature of the MS811 Web Portal and Mobile App, implemented to improve communication between the utility owner/locator and the excavator. 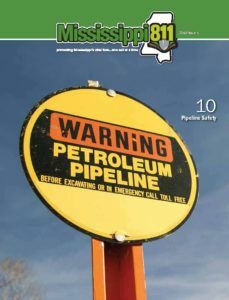 The service provides a way for member utility companies to submit information to MS811, regarding the status of the utility locating process. Excavators can review the response status information for their locate request tickets in the MS811 Web Portal or Mobile App. The responses submitted will inform the excavator if utilities have been marked, are clear of the excavation area or that an onsite meeting is needed. Positive Response closes the circle of information on a location request from the excavator, to the member and back to the excavator. How Do I Submit Responses? 1. Ticket Management System – If set up to do so, response information can be entered into your ticket management system and transmitted from your system to MS811. 2. MS811 Web Portal or Mobile App – Login is required. Click on the Sign-Up button above to request a Positive Response Portal account. What Type of Responses Can Be Submitted? The following are the different response actions to select from when responding. Excavators can view response information through the MS811 Web Portal or Mobile App. You do not need a Portal account to view ticket response information. Once we feel that we have enough members set up and using the new system we will also begin emailing response status notifications to the excavator. A deployment date for this service will be announced on a later date.